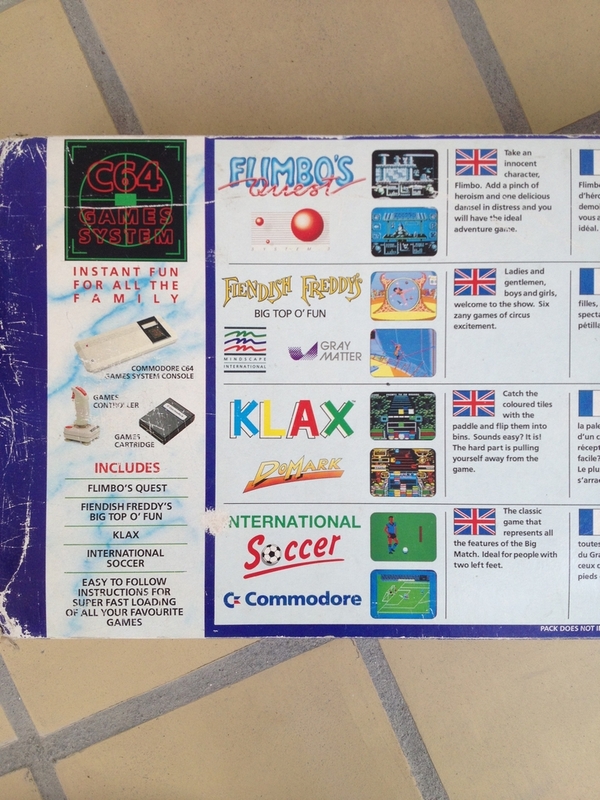 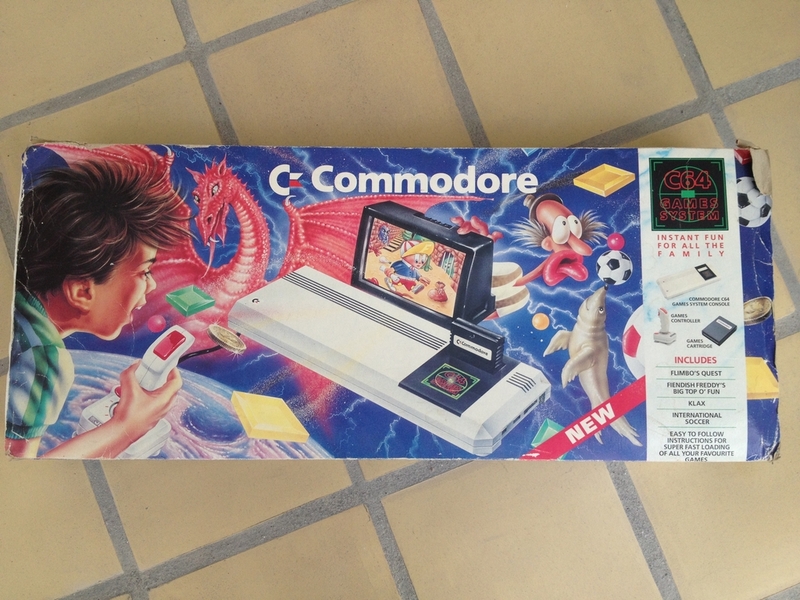 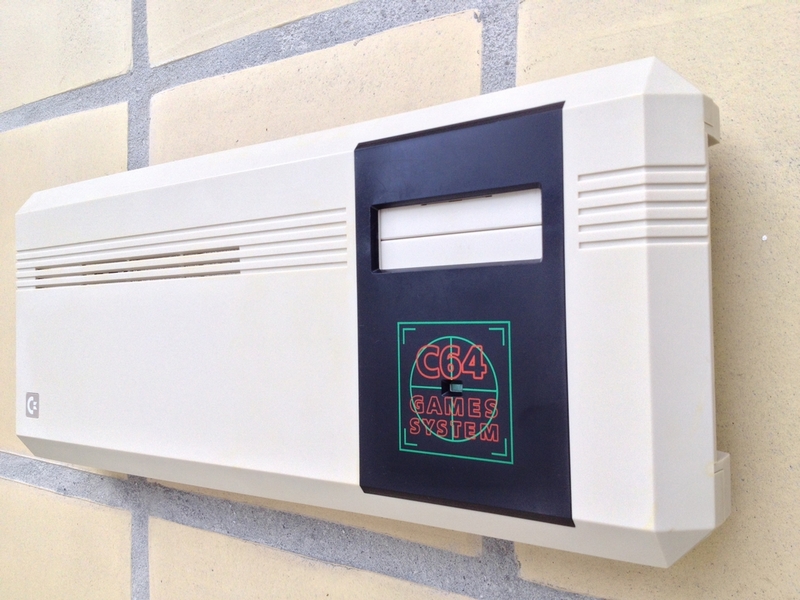 This is my copy of the Commodore 64 Game System (C64GS). 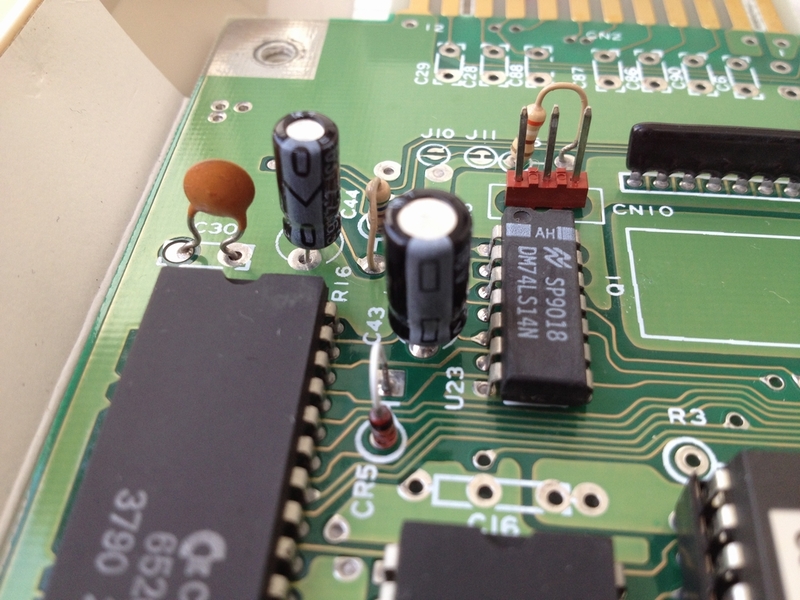 The only modification I have made to the system is replacing the capacitors. I even left the cardboard RF-shield inside to keep it as original as possible. 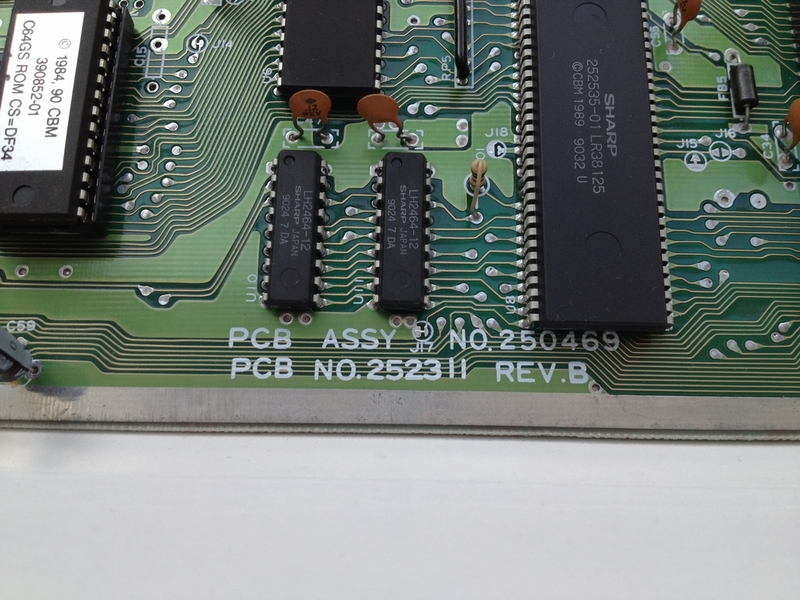 The motherboard is a Version E PCB (Assy 250469 Rev. 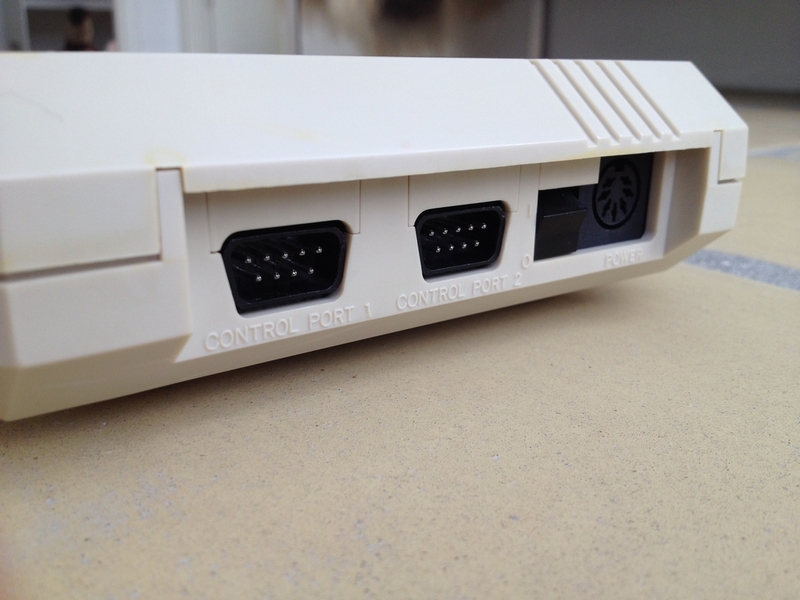 B) with the modified Expansion port so cartridges can be inserted vertically. 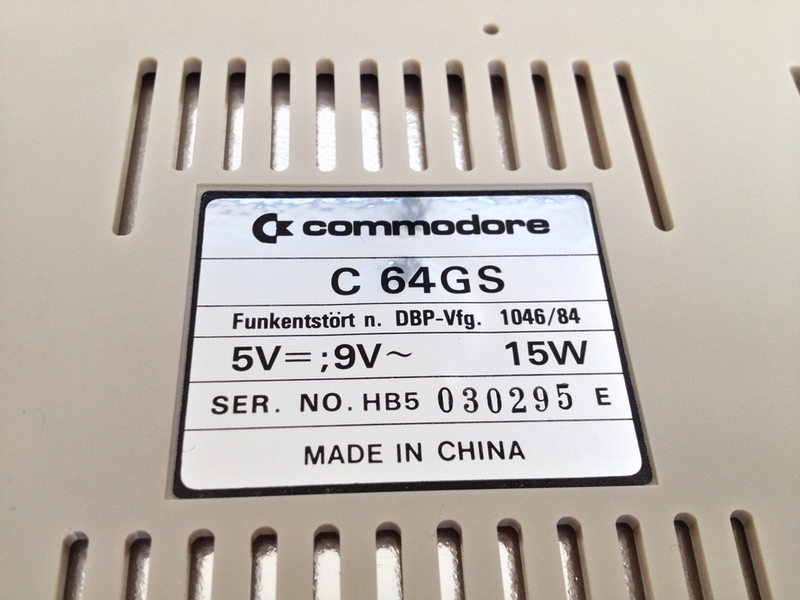 The ROMs are different from the standard C64C as there is no support for a keyboard. 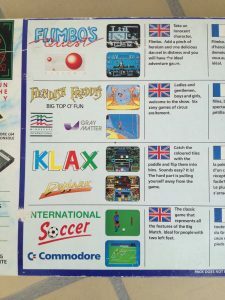 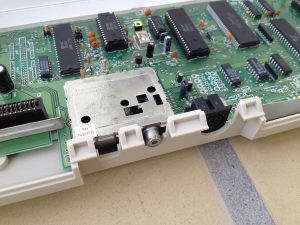 If no cartridge has been inserted in to the machine, an instruction of how to load the system with a cartridge game is displayed. 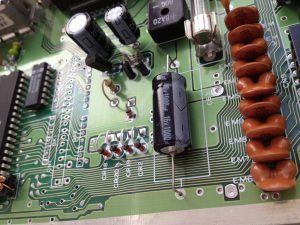 All capacitors have been replaced by new ones as described here. 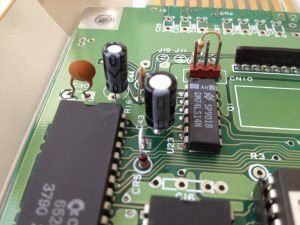 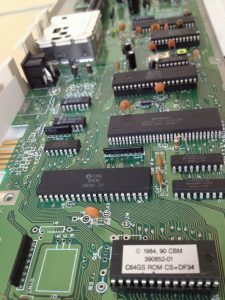 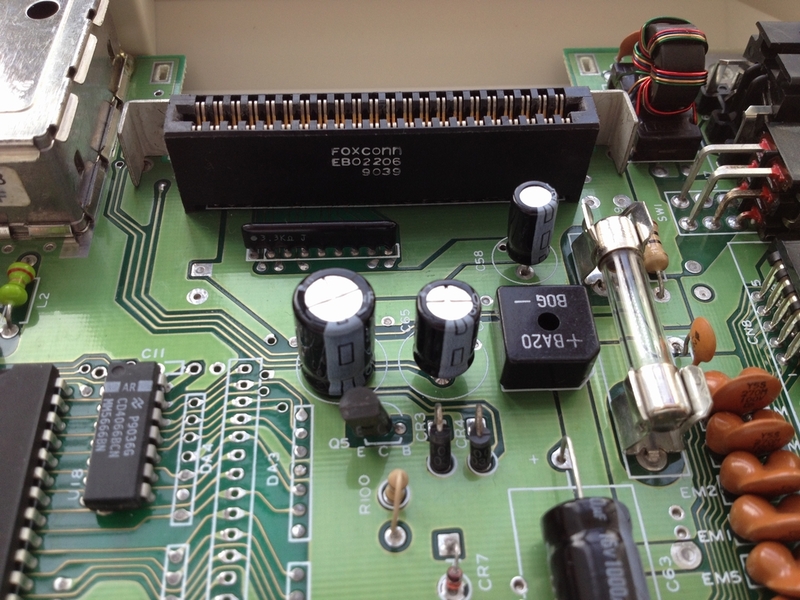 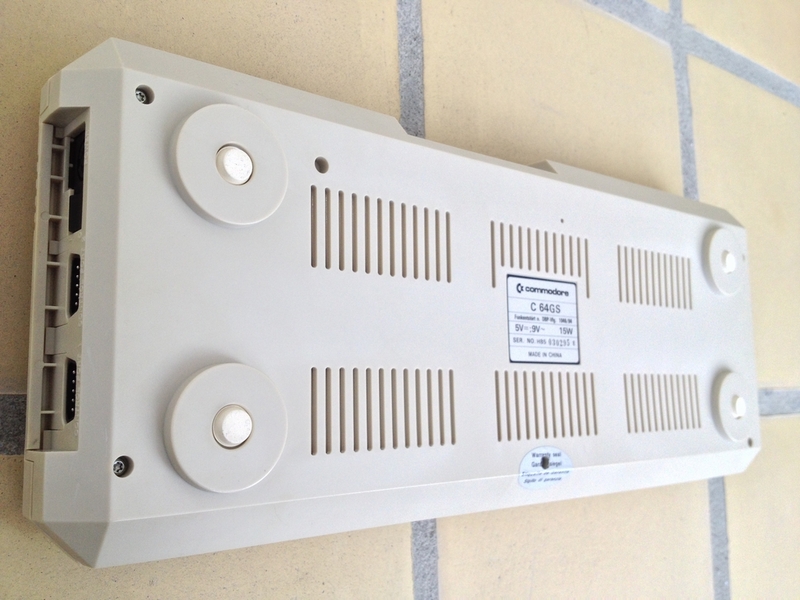 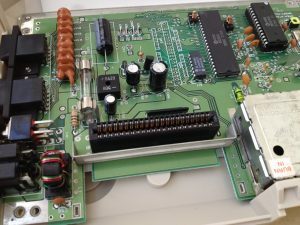 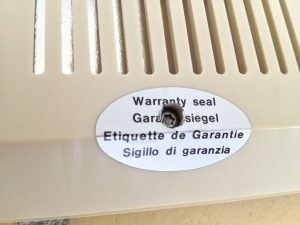 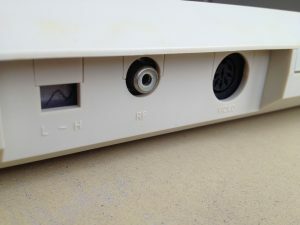 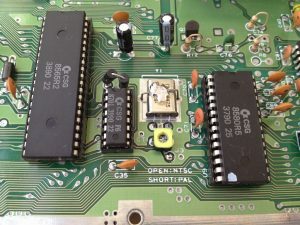 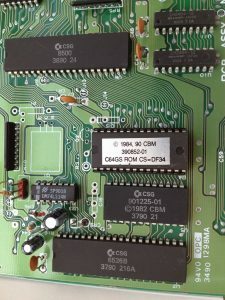 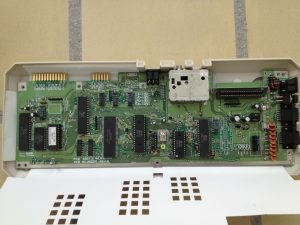 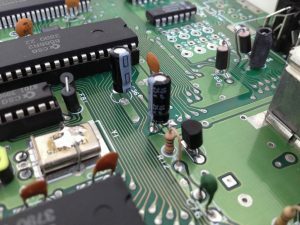 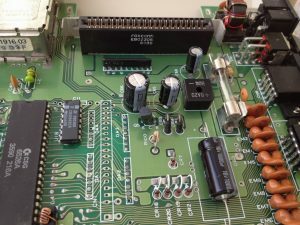 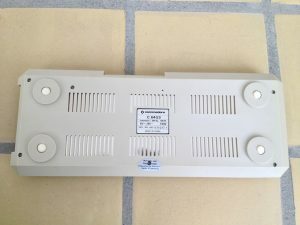 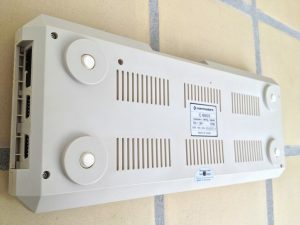 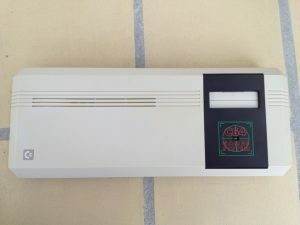 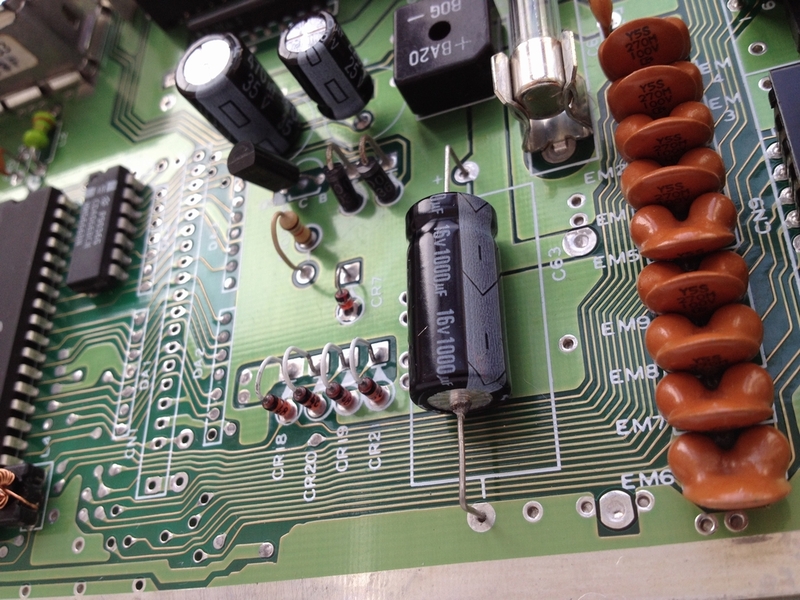 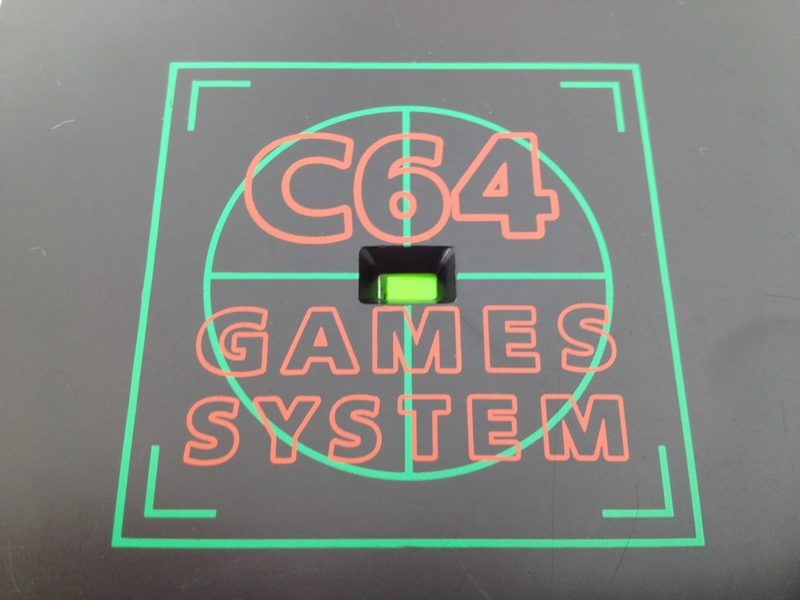 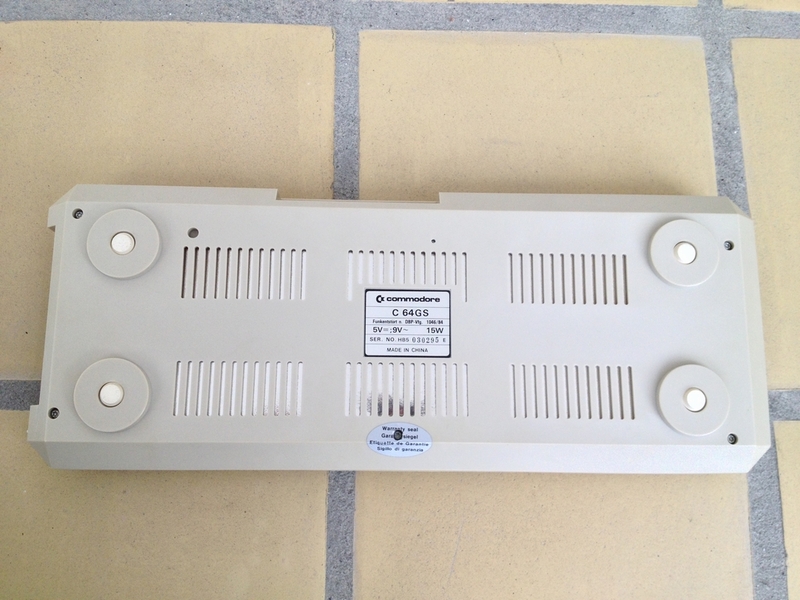 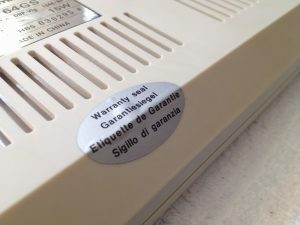 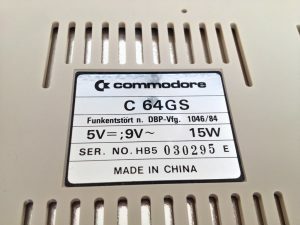 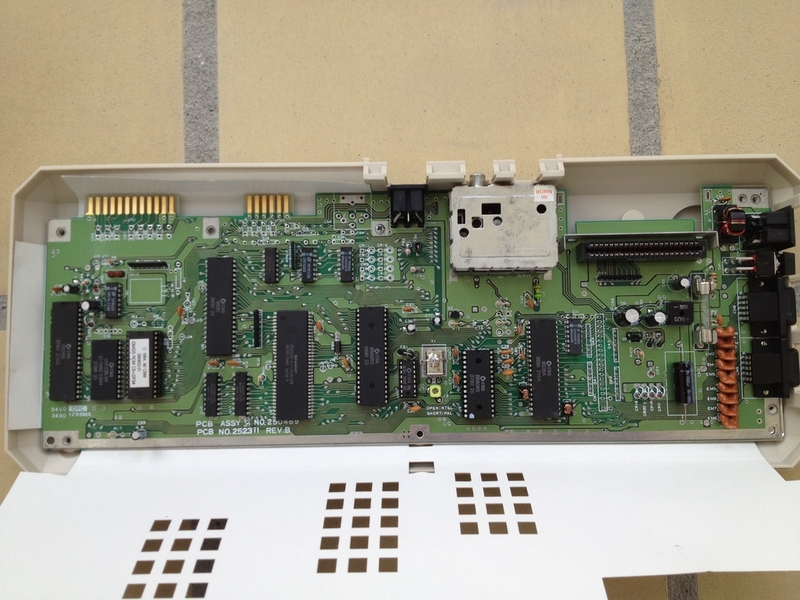 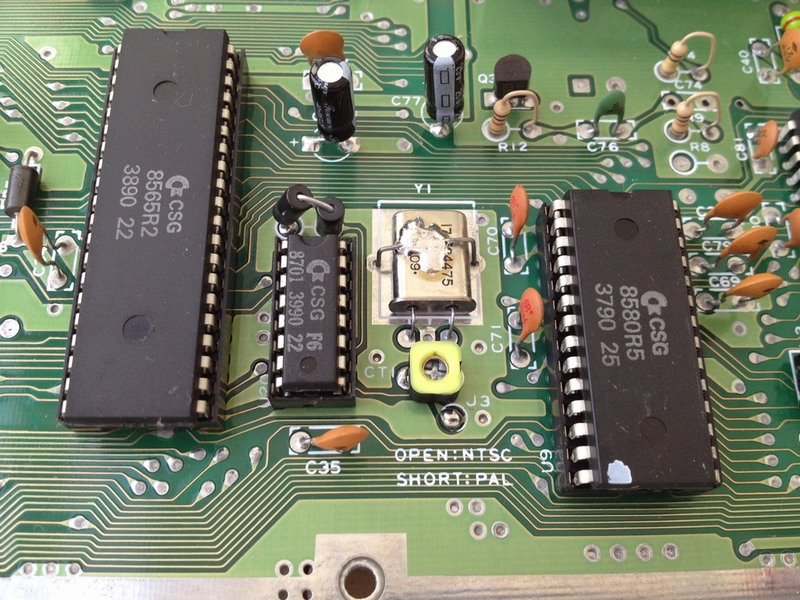 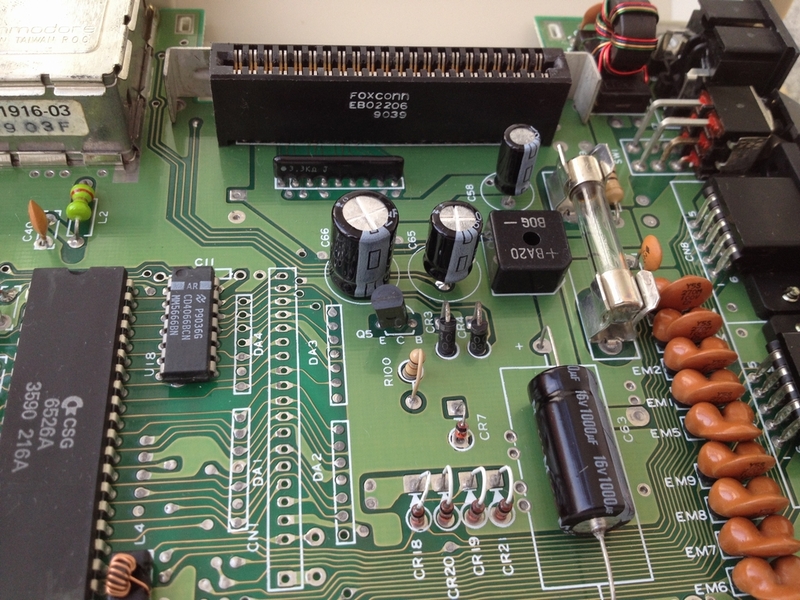 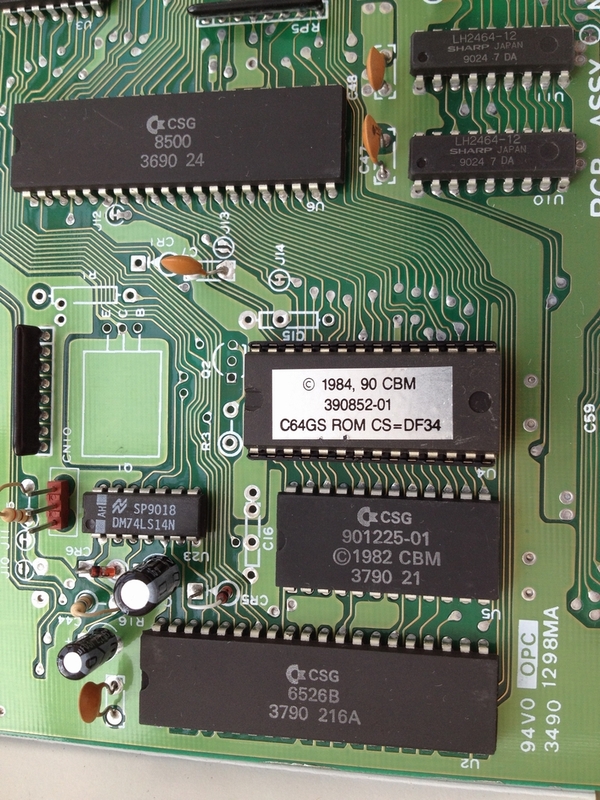 The is the biggest difference from a normal C64C PCB – the Expansion port has been replaced by a version which enables a vertical insertion of game cartidges. 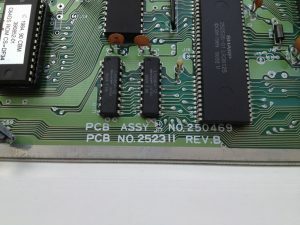 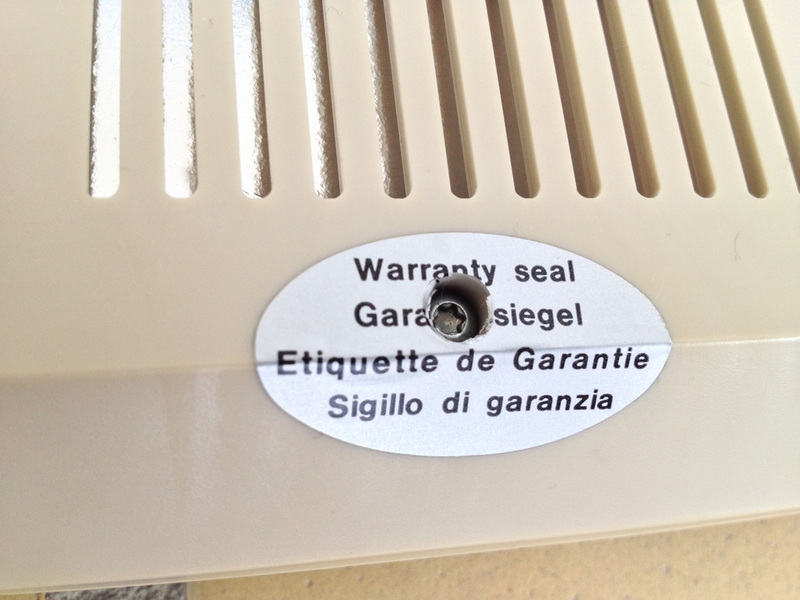 I broke the warranty seal in order to see what condition the PCB was in. 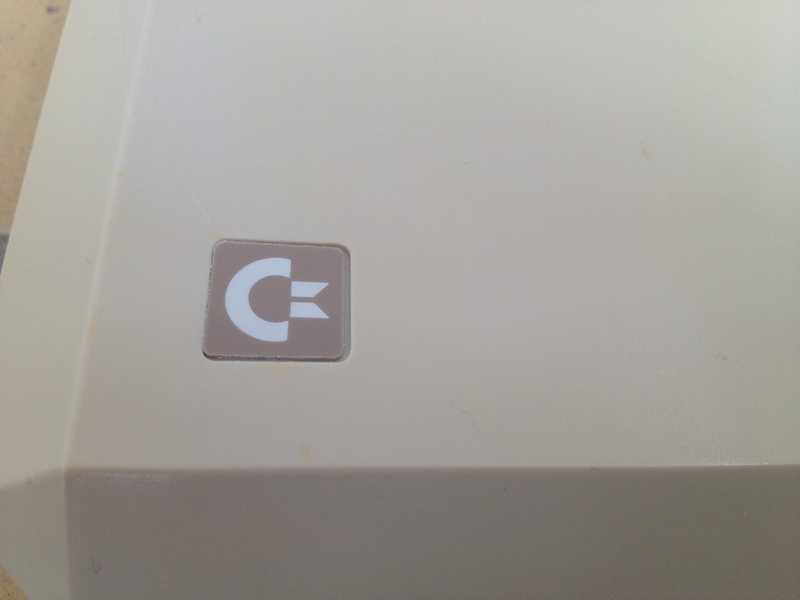 It’s always a choice to break an untouched machine…. 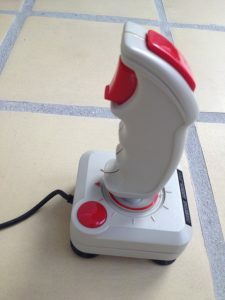 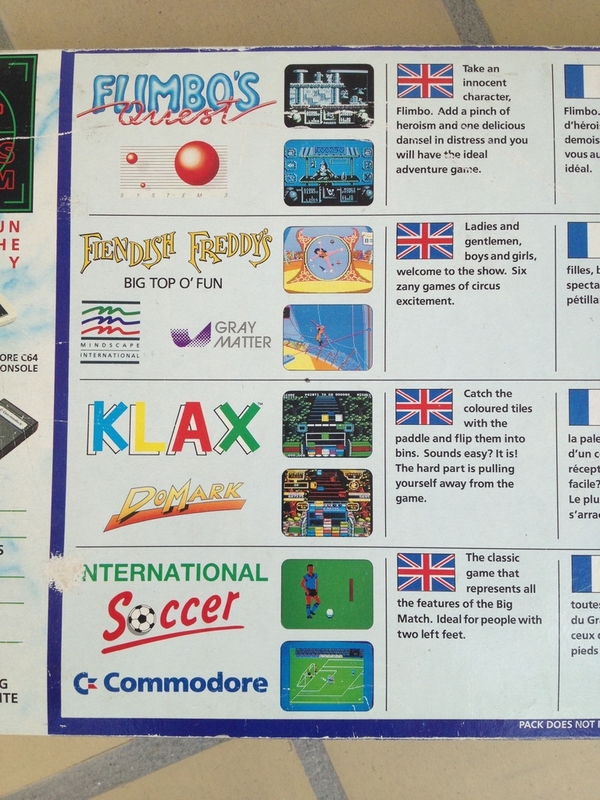 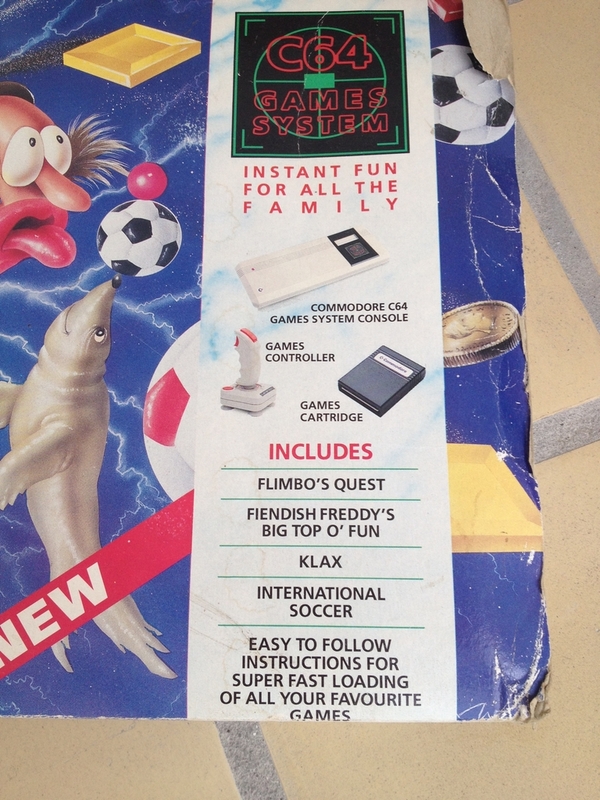 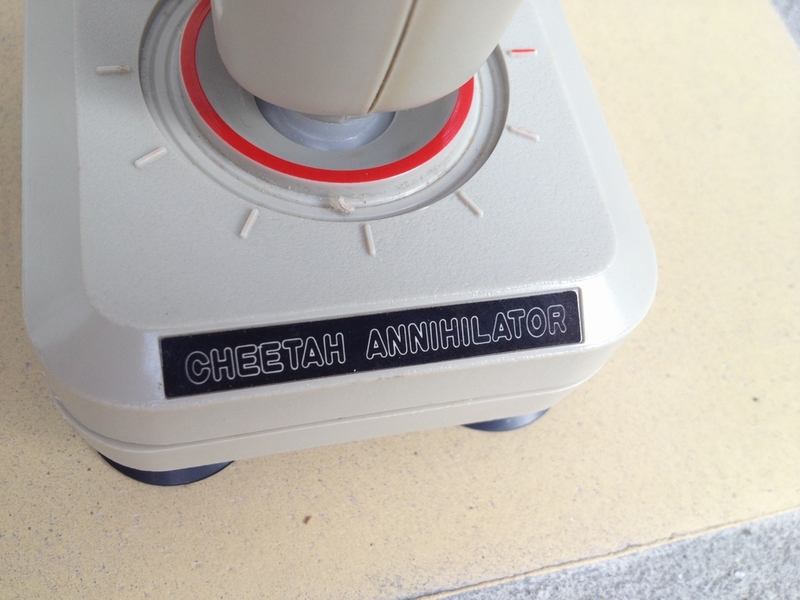 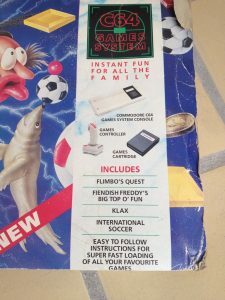 The system came bundled with a Cheetah Annihilator joystick of horrible quality. 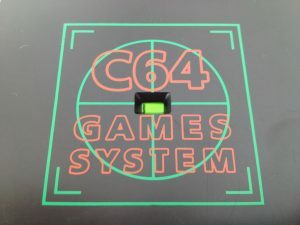 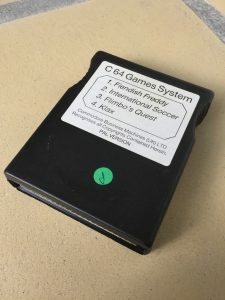 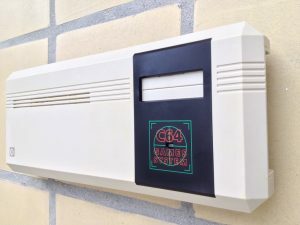 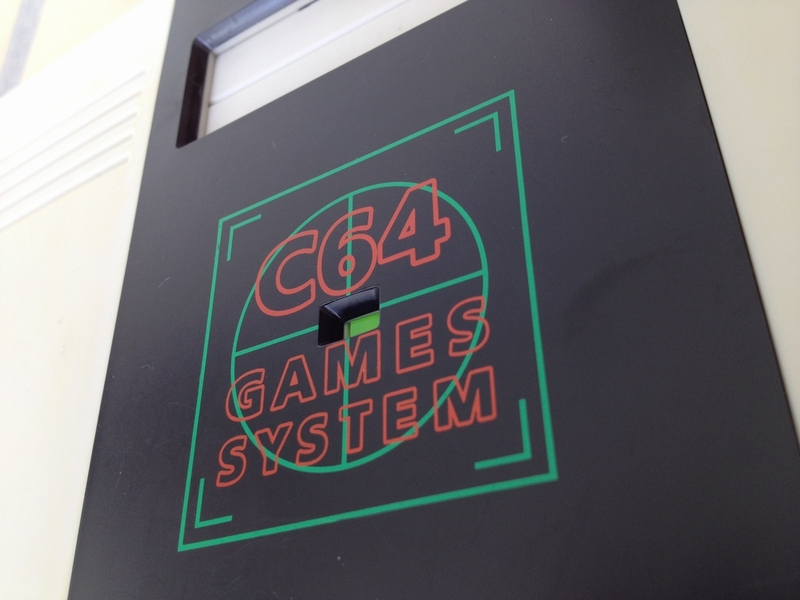 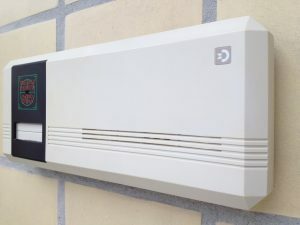 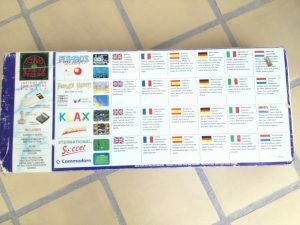 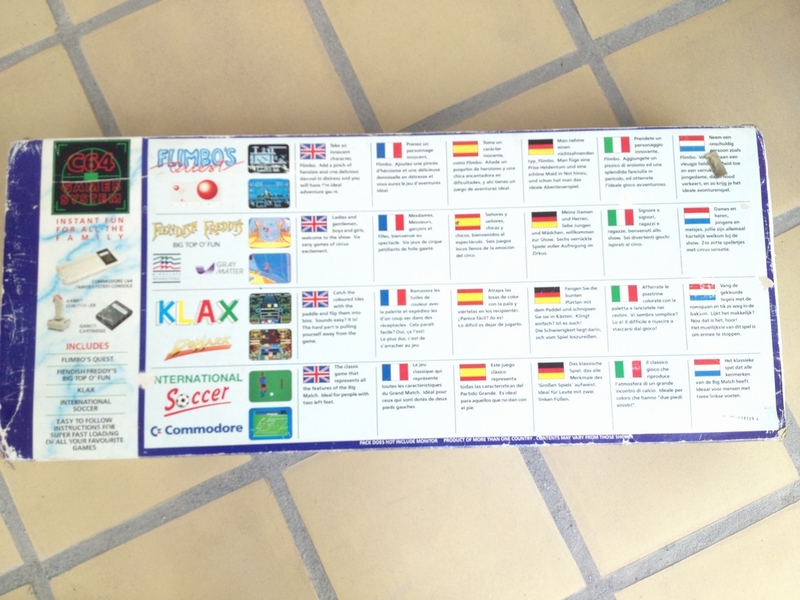 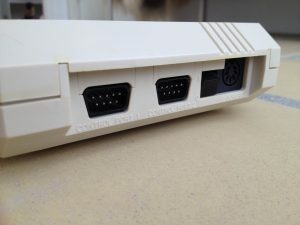 The original game cartridge for the C64 Games System completed the system.